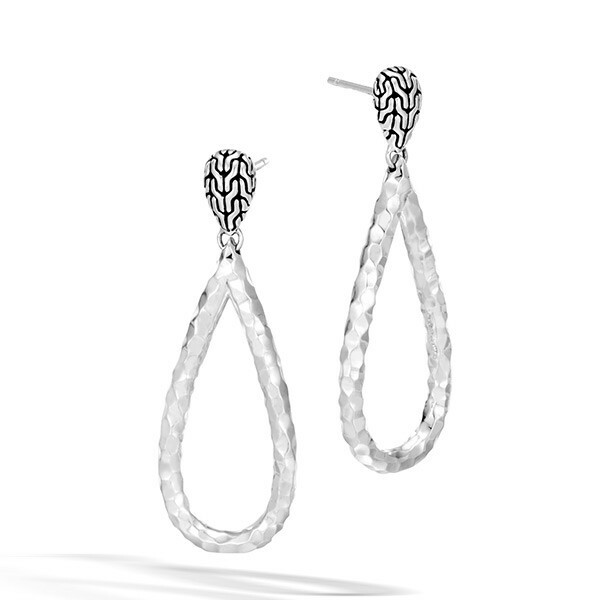 Swing into style with this fabulous pair of John Hardy drop earrings from the Classic Chain collection. An inverted teardrop of sterling silver that is hand carved with the classic chain motif gently drops an open teardrop of sterling silver that has been slightly hammered to create reflective surfaces. Post backings are attached to the small teardrops to place this set comfortably in your ears. When your look demands a delicious dangle, turn to these fabulous John Hardy earrings.